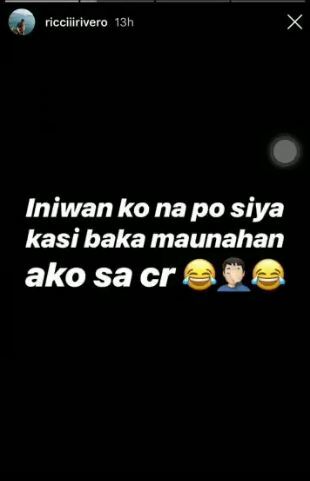 UP Coach called out Ricci Rivero for his Instagram saying that he made fun of a fellow UP athlete. The now viral tweet has earned mixed reactions from netizens. 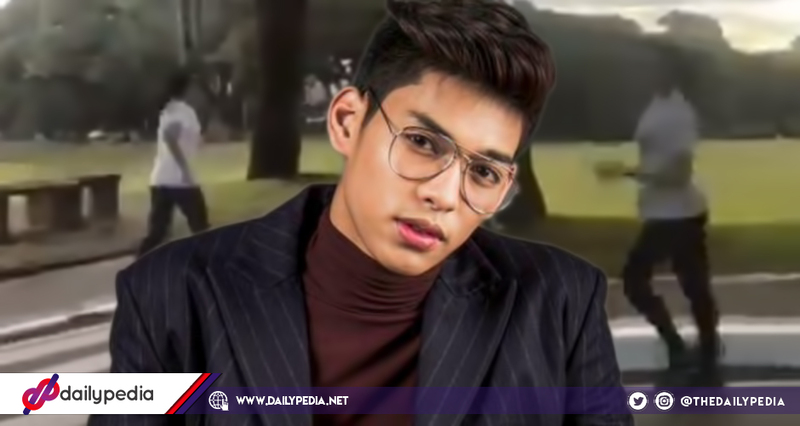 University of the Philippines Fighting Maroons basketball Ricci Rivero is on the hot seat after he was said to have made fun of an athlete training inside the UP Campus. 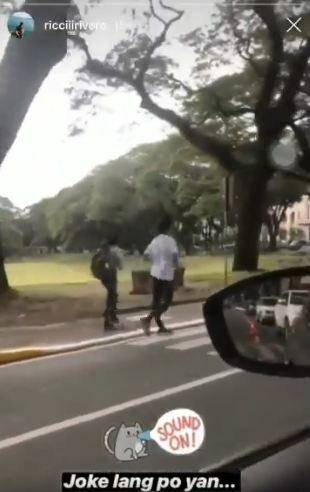 In his Instagram stories, he uploaded a text saying “iniwan ko na po siya kasi baka maunahan ako sa cr” before uploading a clip of a woman speed walking on the side of the street. 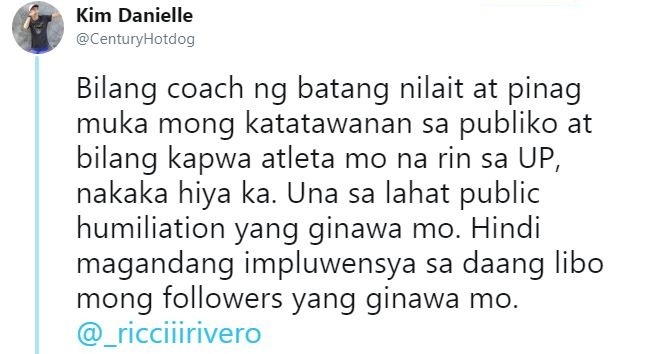 The post has reached the woman’s coach and he took his disappointment to Twitter, saying that it’s a shame that Rivero had humiliated his fellow UP athlete and his post is not a good influence to all his followers. At kung gusto mong i discuss ko pa sayo ang biomechanics ng nilalait mong sport, gagawin ko para lang maintindihan mo na mahirap ang sport na yan at hindi ka lait lait! Netizens had mixed reactions regarding the now viral tweets. This Twitter user said that Rivero’s attitude has changed ever since he started getting more recognition. TinatangkiLik kc ng mga tao etong kumag na’to, kya Lumaki ang uLo! LumaLaking basura ang ugaLi. The Diliman Files has explained that there’s nothing wrong with calling out someone if he did something wrong as it educates people that it’s never okay to make fun of other people. Here’s the thing, we don’t make fun of people. Period. There’s also nothing wrong with calling out people’s mistakes in public especially if what they did has a public impact. It educates other people, and not only the one called out. Other netizens defended Rivero saying that the coach also humiliated him by posting the said tweet and not dealing with it privately. 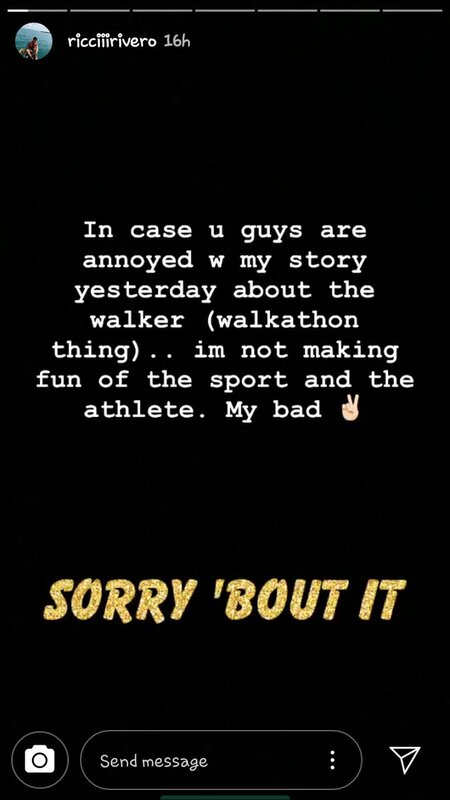 The basketball player has posted an apology on his Instagram stories.